The crash occurred near State Route 76, according to the San Diego Sheriff's Department. 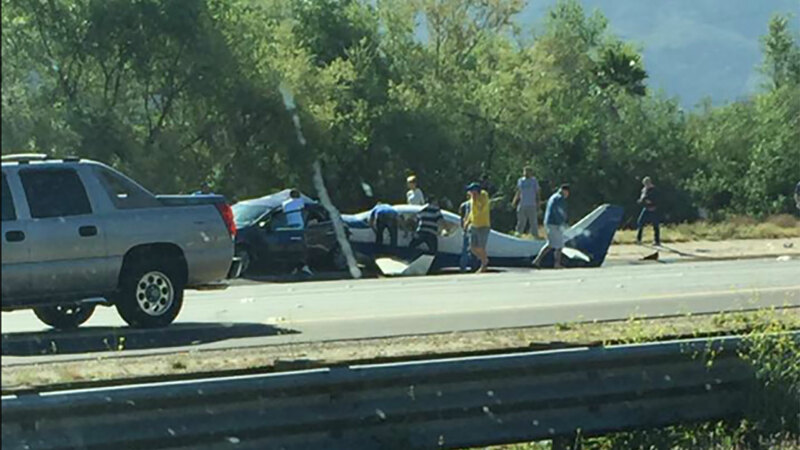 Witnesses told dispatchers that the plane landed on a vehicle on Interstate 15, about 50 miles north of San Diego. Photos on Twitter showed the nose of the white and blue plane crumpled into the rear of a small black sedan on the shoulder of the freeway. CHP Officer Tony Polizzi said one person in the car died and three others were taken to the hospital. He says two people in the small plane also were transported for treatment. The crash blocked two lanes and caused backups on the freeway that runs to Las Vegas.